Eye injuries seem rare. At work, they happen more than you think. Employers try to stop them. They use eyeglass, rinses, and other things. They still occur though. When they do, workers get hurt badly. Their lives change forever. They incur medical bills. Their lifestyle changes. They might even need to change jobs. All for what? Does the employer compensate the worker? They should under Illinois law. They don’t always do this though. Employers attempt to stiff the worker. Read the pages below to learn about workers’ eye injuries. They show you how you can get compensation. Our Chicago workers compensation law firm can help you. We represent injured workers. Call us today to see what your eye injury claim may be worth! Corneal Abrasion: Workers scratch their eyes a lot. It takes some object to scratch it. Sprays, fingers, even dust can do it. It will appear red and swollen. Burns: Acids and alkalis can splash into your eyes at work. Serious damage might ensure. You should wash your eye out and go see a doctor. Hemorrhage: This occurs when veins within or near the eye bleed. Often, it won’t affect you much. See a doctor to make sure. Penetration: Something might penetrate your eye. This injury is critical. Rush to the ER. On the way, cover the eye to avoid further damage. Fracture: Fractures or bleeding in the eye are serious. They normally come from blunt trauma like a hit. Go right to an ER if you have one. Traumatic Iritis: This means inflammation in the pupil. It comes from blunt trauma. You will need medical care for this. It might permanently damage your vision. Computers: A computer puts a lot of strain on the eyes. It makes more light than they can take. Over time, this will damage them. Toxins: Workers use all kinds of harmful substances. These get loose and run into the eye. UV Exposure: Lights, lasers, and the sun can burn the eye. Even if no burn occurs, strains and headaches can make side effects. You might feel tired, dizzy, or sick. Products: Workers use tools that can cause eye damages. Some tools include saws, razors, and knifes. Something can always fly into your eye. Hopefully, no damage occurs. Workers don’t get that lucky. They injure their eyes at awful rates. The above ways outline the most common events. You might injure yours some other way. If you do, let us know. We can review your case and file a claim. You can receive money for injuries on the job. Call us to see how. Half a million workers injure their eyes each year. Most eye injuries at work could be prevented. Workers eye injuries are nearly half of all total head injuries that make them miss them work. 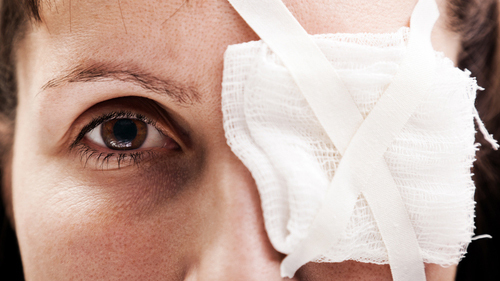 Workers’ eye injuries cost the US hundreds of millions each year. Young male workers suffer most eye injuries. Construction, manufacturing, and mining jobs account for the majority of all eye injuries. Most work eye injuries come from scratching, chemicals, penetration, or scraping. Some workers get eye diseases that can be life threatening. Prevention costs are a small fraction of care costs for eye injuries. The nature of your eye injury will shape the care you receive. You might need extensive treatments. You might not. If you scratch an eye, cover it. Then, seek medical attention. Resist the urge to wash it out or wipe it. This might make things worse. If an object penetrates your eye, doctors must remove it. A doctor should do this. Failure to remove it can make matters worse. Chemicals may enter your eyes. If this happens, put your face under lukewarm water for fifteen minutes. Then, go to the ER. To relieve eye swelling, use an icepack or damp cloth. Finally, to address infections, apply prescriptions from a doctor. These treatments cover the main eye injury types. For your eye harms, speak with a doctor as soon as you can. He or she will give you specific advice. Follow those instructions carefully. How can I recover for work injuries? Workers in Illinois don’t understand the legal system. You can get money two different ways in Illinois. Let us take them one at a time. Workers’ Comp: You can file a workers’ comp claim. You can bring one to your employer or the Illinois Workers’ Comp Commission (IWCC). If you bring one to your employer, they have a set amount of time to deny or accept it. They must supply reasons if they don’t. If they deny it, you can appeal to the IWCC. 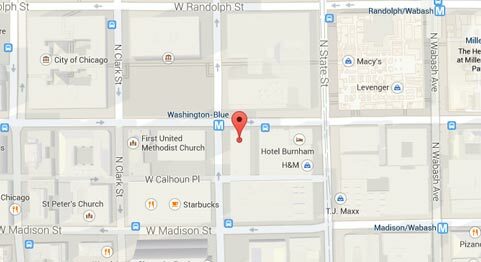 You can also go straight to the IWCC. Many workers save time by applying to the IWCC. Lawsuit: You can’t sue your employer for work injuries. You can sue third parties. Third parties might be drivers, land owners, or tool makers. You can sue for all the things you normally would be able to. This might open more recovery than in a workers’ comp claim. What you need to do for each and what you can get from each depends. Therefore, it helps to talk to a lawyer. Our team has a proven history of assisting workers. We have crafted many successful claims and suits. We can show you which would be best for you. We can represent you at no upfront cost. Call us today to get on the path to recovery! Illinois law sets workers’ claim values in stone. You select the body part affected, multiply that by the extent of the injury, and that equals your value. Other things go on top of that though. Some of them include lost wages and medical bills. You won’t see the high numbers like in lawsuits. This comes from the fact that you can’t sue your employer. You can sue other parties though. You might get more money by suing. For eye injuries, workers get 162 weeks per eye max. They get 173 per eye max if the eye enucleated. To get a specific eye injury claim estimate for your work accident, call our offices. $300 per week for 16.2 weeks for permanent partial disability benefits. This represented a 10% loss of function to his right eye. $799.47 per week for 11-1/7 weeks for temporary total disability benefits. $534.16 per week for 75 weeks for permanent partial disability benefits. This represented a 50% loss of function to his right eye. All past and future necessary medical expenses. 60% of the man’s average weekly wage ($916.81) for 160 weeks for permanent partial disability benefits due to the complete loss of use of his left eye. $1018.67 per week for 35-2/7 weeks for temporary total disability benefits. $4,573.58 for medical, transportation, and other expenses. $485.79 per week for 37.5 weeks for permanent partial disability benefits. This represented a 7.5% loss of function to the affected body parts. $539.77 per week for 6-1/7 weeks for temporary total disability benefits. $2,146.70 for medical, transportation, and other expenses. Rosenfeld Injury Lawyers LLC fights for workers. We meet with them and hear their stories. Jobs put them in harm’s way. When that happens, we protect their rights. If you injure your eye at work, let us know. Contact us today for a free consultation. Our Chicago workers’ compensation law firm will show you what you can get. A workers’ comp claim might mean a lot of money. This can help pay bills and replace lost wages. Plus, our firm won’t ask for upfront fees. We only charge if we win. Find out what out you can recover. Call our offices today.